and was advertised for $750 in Scientific american. using standard medium-scale and small-scale integrated circuits. the Kenbak Corporation closed its doors. 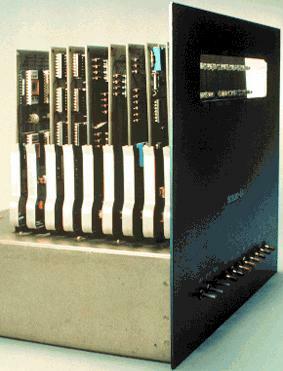 The Intel MCS-4-based SIM4 (1972) was the first microcomputer. chassis along with a PROM programmer card. 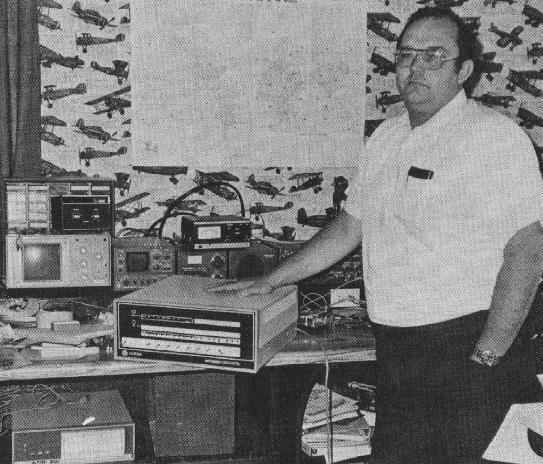 In 1973 Scelbi Computer Consulting Company offers the first computer kit in the U.S. Using a microprocessor, the Intel 8008, for US$565, with 1KB programmable memory. An additional 15KB is available for US$2760. More photos of the Scelbi computer. The French MICRAL (1973) was the first Micro-computer sold (not in KIT) it's creator was François Gernelle. The first non-kit computer based on a microprocessor (the Intel 8008). Built in France, the Micral is advertised in the U.S., but is not successful there. Truong, founder and president of the French company R2E tried to commercialize it but selling for $1,750, the Micral never penetrated the U.S. market. Philippe Kahn designed the software. In 1979 Truong sold Micral to Bull. Truong: "The Micral in the beginning of 1973 was very rudimentary. It had only 2 Kbytes of RAM, and could only be programmed in binary, and that year we sold 500 of them only in France. In 1974 we (Philippe Kahn) wrote the first assembler, so I could demonstrate the first complete microcomputer using an Intel 8080 at the National Computer Conference [since replaced by Comdex] in Chicago." 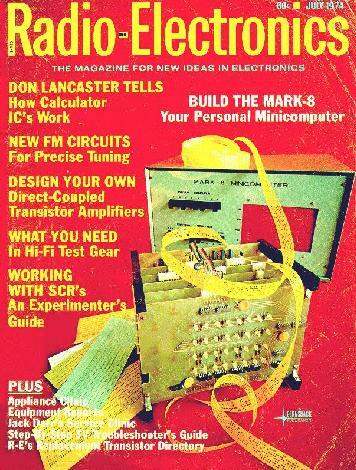 In July of 1974 the Mark-8 could have been Your Personal Minicomputer, according to Radio-Electronics. In 1986, the Boston Computer Museum held a contest to elucidate the pioneers of microcomputers. 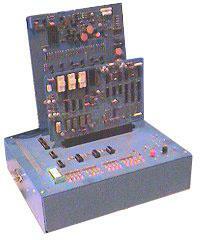 Its examiners, including Steve Wozniak, gave the title of the first microcomputer to the Kenbak, which was designed in 1971 with discrete logic and not with a microprocessor. 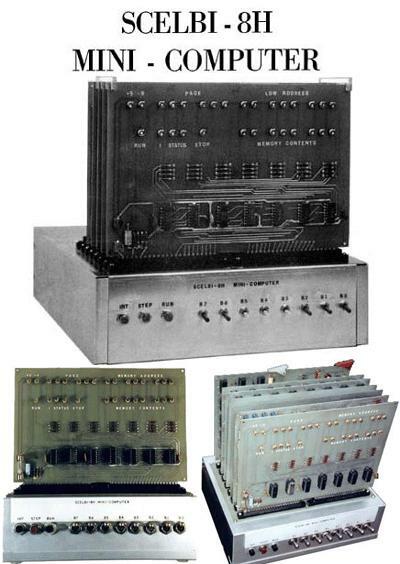 The Micral was nevertheless recognized as the first microprocessor-based personal computer, and the first microcomputer largely and commercially distributed. Developers Edward Roberts, William Yates and Jim Bybee spent 1973-1974 to develop the MITS Altair 8800. The price was going to be $375, and contained , a board set, CPU, front panel (without switches), four slot backplane and a 1K memory board with 256 bytes of RAM chips (not 256k). There was no case, no power supply no keyboard, no display, and no auxiliary storage device. The Altair 8800 helped start the Microcomputer Revolution. In december 1974, Popular Electronics publishes an article by MITS announcing the Altair 8800 computer for US$439 in kit form. It uses the Intel 8080 processor. The Altair pictured on the cover of the magazine is actually a mock-up, as an actual computer was not available, Railway Express loses Ed Robert's only prototype Altair computer, en route to New York for review and photography for publishing by Popular Electronics. Lauren Solomon, 12 year old daughter of Les Solomon, publisher of Popular Electronics, suggests the name "Altair" for Ed Robert's new microcomputer. Altair was the name of where Star Trek's Enterprise was going that night. In april 1975, MITS delivers the first generally-available Altair 8800, sold for US$375 with 1KB memory. At that time personal computers were called " hobbyist", "small-business", or "micro" computers. The "Altair bus" used a connector with 100 pins and became known as the S-100 bus as more manufacturers adopted it. The Altair was followed by S-100 machines like the IMSAI., SOL, Morrow, Godbout/Compupro, Dynabyte, Cromemco, and Vector Graphic. The market shifted from hobbyist to small business. Machines like the Apple, Sol, Osborne, Kaypro were smaller and had integrated keyboards and video were used in home, school, and business. Later the IBM PC and it's clones replaced these machines for business and personal use. The MITS/Icom Attache was created to compete with the SOL and Apple but was not well known. The Attache had a built in keyboard and video board and a ten-slot S-100 bus. MITS once had the ad on the Back cover of Byte magazine Byte lists the MITS Altair 8800 as one of the Top 20 Small Systems. The Altair featured a BASIC written by Bill Gates and Paul Allen. MITS was Microsoft's first customer. 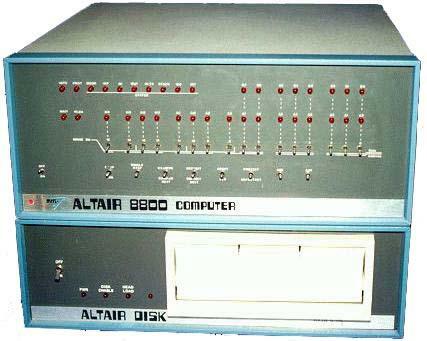 The Altair had a front panel that allowed 8080 instructions to be loaded into memory. Some early Altair users had Teletypes with a papertape reader. There was also a PROM board with 1702 PROMS (256 bytes). A small boot loader could be run on the Altair to load larger programs from paper tape. Paul Allen and Bill Gates had access to a DEC computer with an 8080 assembler and emulator. Programs like BASIC could be developed on the DEC and loaded onto an Altair. It was not long before Altairs had 5.25-inch and 8-inch Pertec diskette drives. The 4K BASIC grew to a 16K disk BASIC. There was also an 8K BASIC that was on ROM (8*1K). Pertec bought MITS and Icom and formed the Microsystems Division. MITS stands for Micro Instrumentation and Telemetry Systems and started the Micro-Computer Revolution in Albuquerque, New Mexico. MITS was founded by Ed Roberts. MITS first made radio control devices, then calculators and later the 8800 and 8800a. The machines were often sold as kits. They were not as pretty as the 8800b and had a weaker power supply . These early mainframes had few peripherals or daughter boards. Early Altair users sometimes used an ASR33 Teletype for a terminal. Companies like Icom, Tarbell, and Micropolis filled the void with diskette subsystems. MITS made a two-board controller set for DC powered, Pertec FD-410 hard-sectored 8-inch diskette drives. Later MITS and Icom used Pertec FD-510 and FD-514 SSDD AC powered drives. These drives were 2/3 Height. Pertec bought MITS and Icom to form PCC MicroSystems Division. This division changed names and leaders every six months and eventually killed the Altair. Pertec moved away from the "Hobbyist Computer" image of the 8800a and put the 8800b in a desk with the 3202 diskette sub-system and made the MITS 300/25 Small Business System. By adding a Pertec DC-3000 14-inch hard disk they made the 300/55.